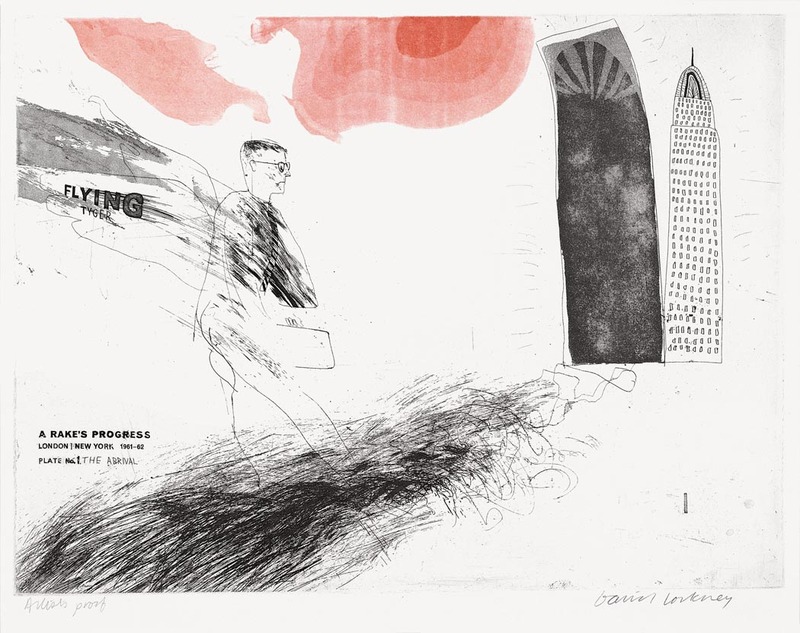 The Contemporary Art Society recently gifted David Hockney’s A Rake’s Progress (1961–3) to the Whitworth Art Gallery, University of Manchester, as a bequest from Dr. Ronald Lande in memory of his life partner Walter Urech. We are delighted to present the entire set of 16 prints this summer. This seminal work is a semi-autobiographical story about Hockney, the ‘rake’, and the down and outs of his life in New York in the early 1960s. Its format, story and numbering system are based on William Hogarth’s 1735 suite of prints of the same title. Where Hogarth’s 18th century prints illustrate the decline and fall of Tom Rakewell, Hockney’s work tells the story of the rake arriving in New York through to his eventual fate in Bedlam, a place of the mindless masses of the ‘other people’. Curator Helen Stalker of the Whitworth Art Gallery discusses the pervading influence of A Rake’s Progress on the 13 June, 19.00.